ZODIAC still has Oscar chances? Based on the true story of one of the most intriguing unsolved crimes, ‘Zodiac’ is a thriller from David Fincher, director of ‘Se7en’ and ‘Fight Club’. We already knew David Fincher could craft the perfec t serial killer movie. Fincher and the screenwriter were smart in choosing not to distort the Zodiac story to adapt it a similar style as ‘Se7en’, instead they followed the true story right to the very end. For decades the Zodiac killer terrorized the citizens of the San Francisco Bay area. Californians were not safe from this man who claimed he killed dozens of victims, however to this day it has never been verified that one person killed all those people. SFPD Homicide Inspectors Dave Toschi (Mark Ruffalo) and William Armstrong (Anthony Edwards) were the officers assigned to the case. However the murders occurred over a wide area, and as the two tried to do their work they came across the dilemma of dealing with multiple police organizations. This was back in the 1960s and 1970s, so the lines of communication were not as easy as they are today. FAX machines and the Internet were still a little way off in the future, and jurisdiction also came into play. Then letters started arriving at various locations. 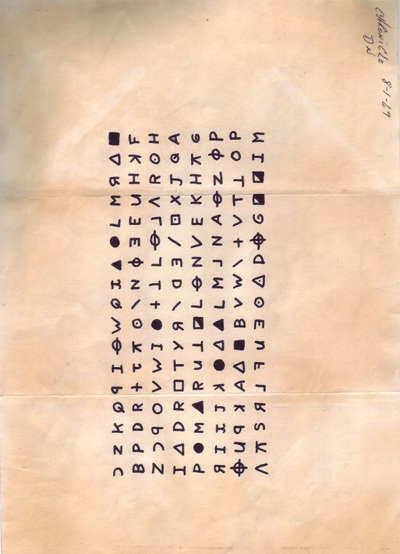 The San Francisco Chronicle received a letter from the killer with a cipher detailing his work. They were instructed to publish it, along with other newspapers that were each given separate ciphers. Paul Avery (Robert Downey Jr.) was the reporter who took the story and ran with it. However his colleague, Robert Graysmith (Jake Gyllenhaal), a cartoonist at the paper, took an avid interest in the case and he began his own investigation. The Zodiac informed the public that he was going to attack a school bus and kill the kids as they came out. This alerted Graysmith to the fact that his kid could be a victim. His interest in the case heightened and even though he was only a cartoonist, he decided to take on the task of investigator. Through the years – and this went on for decades – Graysmith collected every news article that was printed about the Zodiac killer. In the end, it was only his diligence that helped point the finger at a man who most likely was the Zodiac killer. It was Graysmith who meticulously followed the leads as well as his instincts. He initially undertook this project to write a book about the Zodiac, and that book is what this film is based on. However not only did he write a detailed book of the accounts of the killings and the investigation, Graysmith managed to find the killer, or at least find the man who probably was the killer. This man died before it could be proven conclusively, however to this day it is widely believed that he was the murderer known as the Zodiac killer. The filmmakers were meticulous about recreating the details of the attacks as well as the look of the time. The movie instantly transports audiences back to the 60s and 70s: cars, clothes, architecture, social behaviour, media, and of course, police techniques, all is neatly accurate to its period. The soundtrack is also perfectly adjusted. Running 2 hours 36 minutes, it is a long movie, however it will hold your attention for the duration, and you will not be disappointed with an open ending. It’s a bit of a thriller, a bit of a drama, and a bit of a study of obsession.